Continue your education in excellence with these professional development tools from EquiPro! 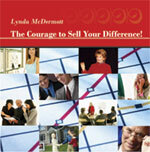 The Courage to Sell Your Difference! Do you have a calling card or just a business card? Are you just serving your clients and customers or are you cultivating loyalists? Do you just show up every day at work or are you trying to make a real difference as a trusted advisor? In this stirring presentation, Lynda speaks to the hearts of people who make their living from selling products and service to others. Anyone who sells knows that it is a job that has exhilarating highs and soul- wrenching lows. Lynda helps her audience to find their unique ability that will help them differentiate themselves from the competition, develop trusting relationships with their clients and customers, and motivate them to courageously take the steps necessary for personal growth and professional success! 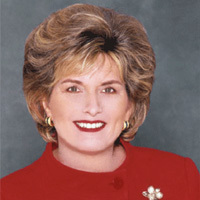 The Secrets of Women Lawyers Who Sell Well! 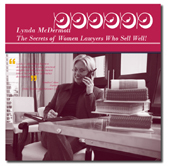 In this revealing CD, based on her work and research with law firms, Lynda McDermott speaks about what successful women lawyers believe and do to excel at building strong client relationships and gaining visibility and credibility in their marketplace. "Bravo, Lynda! The program has given me lots to think about, motivated me to do better and overall was just terrific. Your energy is enthusiastic and contagious."